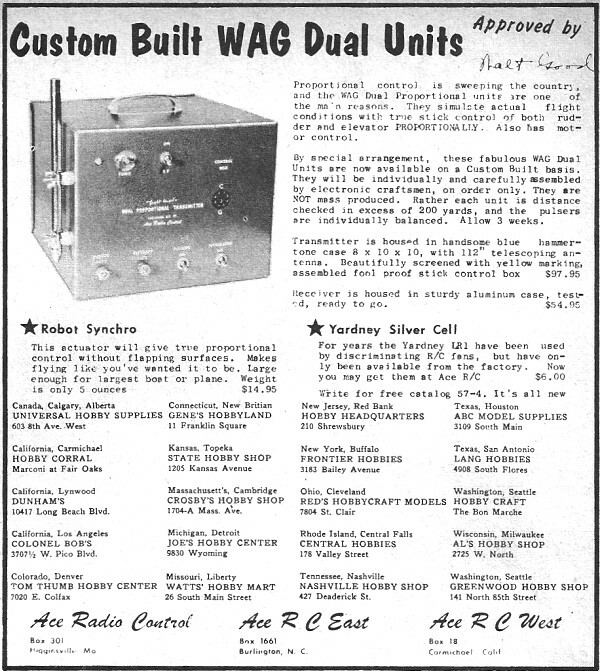 Ace Radio Control has been around since at least the 1950s, as evidenced by this advertisement on page 51 of the May 1957 American Modeler magazine. I owned an Ace Pulse Commander single-channel unit for a while, and documented the electronics prior to selling it. Photos and the complete operator's manual can be found at the link above. 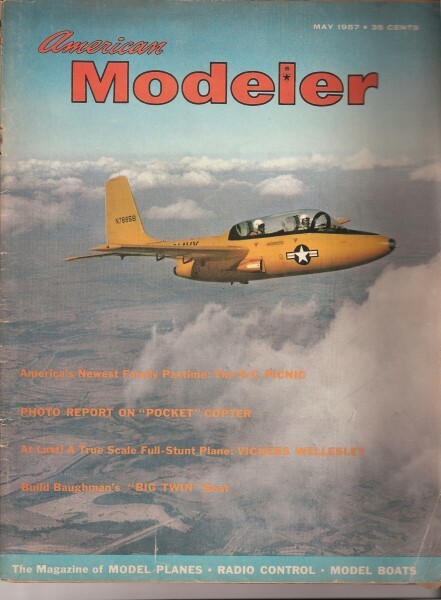 Ace R/C manufactured radio control systems and a few airplane models up through about the 1990s, when it was bought by Thunder Tiger, of Taiwan. All copyrights (if any) are hereby acknowledged. Use the U.S. Bureau of Labor Statistics' inflation calculator to see what items cost in today's dollars. For instance, that $97.95 Transmitter would be $785.61 in 2010 money.